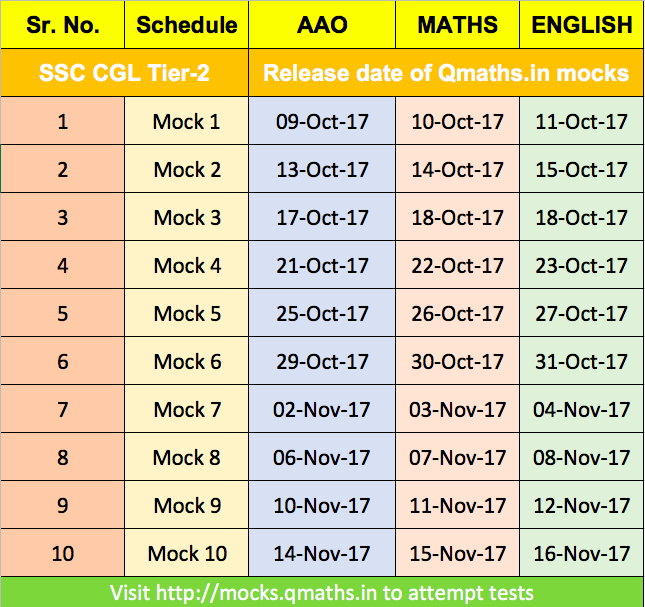 Last weekend Team QMaths Successfully Conducted free live mock test for SSC CGL 2017 Tier-2 from 28-10-17 to 30-10-17. Team QMaths thanks you all for participating in our LIVE MOCK TESTS. 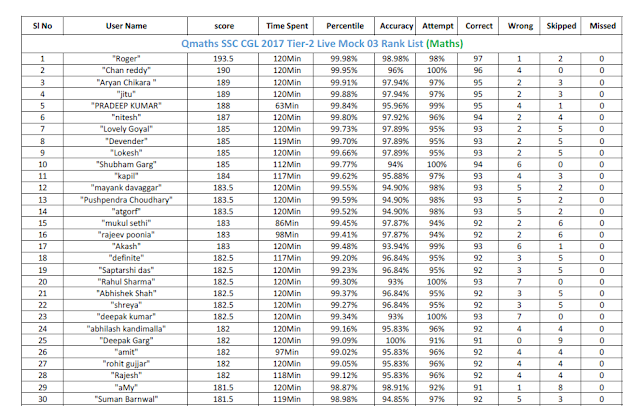 In this post we are sharing the Subject wise list of toppers and Rank list. As you all know that yesterday SSC has released the Result of SSC CGL 2017 Tier-1. Team qmaths congratulates all successful candidates and offers 50% discount on its all online mock test series. Join the best and most relevant Test Series of SSC for Sure success in Tier-2 Exam. 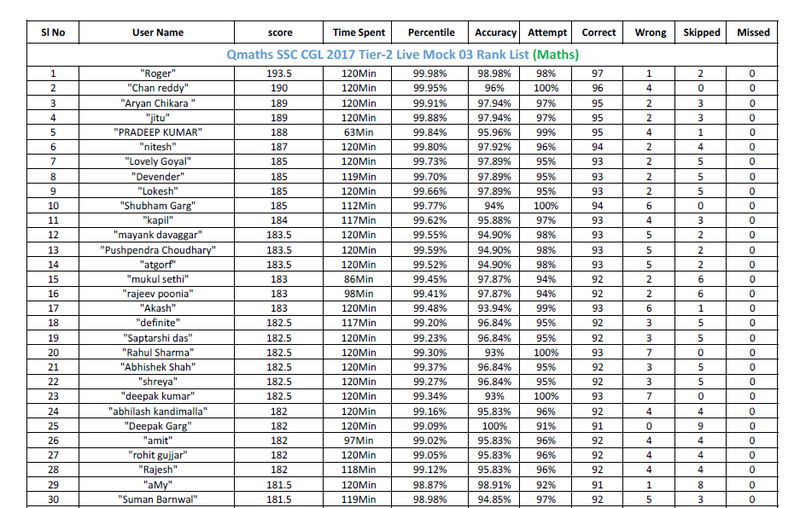 Below is the Rank List of LIVE MOCK 03.